no obligation quote we look forward to hearing from you! 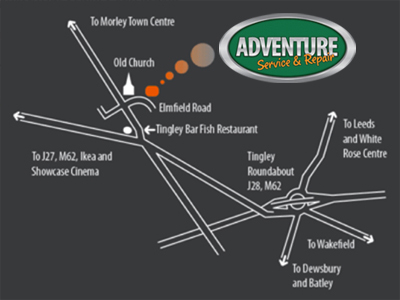 We are conveniently located approximately 1 mile from J28 M62/Tingley roundabout, off the A650 on the outskirts of Morley, South Leeds. We are within quick and easy reach of all the major Towns and Cities in West Yorkshire and easily accessible from Sheffield, Barnsley, Harrogate and York districts via the M1 and the A1/M1 link road. 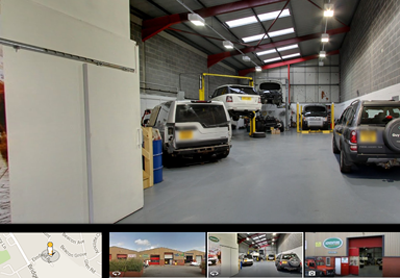 Many of Adventure Service and Repair customers are from Leeds, Bradford, Wakefield, Huddersfield and Halifax and North, South, East and West Yorkshire but we also have many customers from all over the UK, some of our customers regularly travel from the furthest parts of the UK because they trust us to carry out their service or repair properly and at a price that they find very reasonable. Adventure Service and Repair would love to hear from you, we are happy to offer advice on your service, repair or tuning with no obligation.